If you’re looking for a new current account check out the incentives and freebies that could swing the deal for you. Switching current account is now (relatively) quick and painless thanks to the introduction of the Current Account Switch Service, which comes with a guarantee that your move will be completed within seven working days. Since the scheme launched in September 2013, over 1.7 million people have used the service to switch their account to another provider. In response banks and building societies have been jazzing up their current account offers in order to attract new customers. So let’s take a look at the best incentives and freebies available right now that might be worth switching for. Clydesdale Bank and Yorkshire Bank are offering to pay a whopping £150 cashback to those that switch to one of their current accounts. The offer applies to the Readycash, Current Account Plus, Current Account Direct, Current Account Control and Signature Current Account. To qualify switchers need to credit £1,000 (in a single payment) to their new account within 31 days of completing the transfer and maintain two active direct debits. The Current Account Direct pays 2% interest on in-credit balances up to £3,000. Interest is paid as long as you credit £1,000 a month to the account. It also offers a competitive overdraft which charges 9.9% EAR. First Direct is offering a £100 cash incentive to new customers that sign up to its 1st Account. It comes with a £250 fee-free overdraft and the option to speak to someone in the UK about your account 24 hours a day, seven days a week, 365 days a year. But the account costs £10 a month unless you pay in £1,000 monthly or have another First Direct product. First Direct is so confident in its customer service that if you choose to leave with the first year it will pay you another £100. The Co-operative positions itself as an ethical bank, so its cash incentive is a little bit different to the competition. It will pay a £100 cash bonus to new customers that switch to one of its current accounts, but will also make a £25 donation to a charity of your choice. Charities eligible for the donation include Action Aid, Amnesty International, Carers Trust, Help the Hospices, Oxfam, Water Aid and the Woodland Trust. All three will get you exclusive preferential rates on loans and savings but the Current Account Plus comes with a £200 overdraft, while the Smile Current Account comes with the chance to get a £500 overdraft. Halifax is also offering new customers £125 when they switch to one of its current accounts, but unlike other welcome bonuses you get the cash as soon as you apply. The bank has three accounts you can pick from. There's the no frills Current Account, the Reward Current Account which pays you £5 a month when you pay in £750, stay in credit and have two direct debits set up, or the Ultimate Reward Current Account which comes with a host of extras like worldwide multi-trip family travel insurance, AA breakdown cover, and mobile phone insurance for £10-£15 a month. Online banking customers will also be eligible for Cashback Extras. This is a reward scheme which allows you to earn up to 15% cashback when you spend at certain retailers online. M&S Bank is offering a £100 gift card to spend in store and online when you switch to one of its current accounts. The fee-free M&S Bank Current Account offers a £500 overdraft where the first £100 is interest free, preferential rates on selected M&S Bank products like the market leading 6% regular savings account and the ability to earn M&S Loyalty points when you spend. While the M&S Premium Current Account, which costs £10 a month, offers £222-worth of M&S treats and vouchers throughout the year, the ability to earn loyalty points, exclusive access to preferential rates on M&S Bank products including the market leading 6% regular savings account and a £500 overdraft where the first £100 is interest free. Nationwide operates a slightly different cash switching offer that works on referrals. It applies when an existing FlexAccount, FlexDirect or FlexPlus customer recommends a Nationwide current account to someone they know. If that person switches their main account to Nationwide using the Current Account Switch Service, both sides will receive £50. You’ll be able to refer up to ten people a year meaning you could bag £500. So while you don’t get a guaranteed cash bonus as soon as you complete a switch, like with Clydesdale Bank, First Direct, Halifax and the Co-operative, you have the potential to earn much more than with all of them combined if you can convince ten more to join you. And it shouldn’t be too hard considering the accounts are packed with incentives that are quite appealing by themselves! The FlexAccount comes with free UK & Europe multi-trip travel insurance and a three-month interest-free overdraft. With the FlexDirect Account you can earn 5% interest on balances up to £2,500 for 12 months, when you deposit at least £1,000 a month. That’s a better rate than any traditional savings account is offering at the moment. The account also comes with a 12-month fee-free overdraft. Alternatively the FlexPlus account pays an ongoing 3% credit interest on balances up to £2,500 and comes with a bunch of extras like worldwide family multi-trip travel insurance, UK & European breakdown cover and worldwide family mobile phone insurance for £10 a month. All Nationwide main current account holders also get access to ‘flexclusives’ on banking products like mortgages, savings and credit cards. TSB also thinks credit interest is a decent incentive to lure customers in. Like Nationwide it’s offering a market-leading rate of 5% but on balances up to £2,000 with its Classic Plus Current Account. Tipping the scales in TSB’s favour though is that the rate won’t fall away after 12 months so you won’t have to worry about moving your money around. You also only need to deposit £500 a month and sign up for internet banking and paperless correspondence to qualify for the rate. Lloyds Bank is offering one lifestyle freebie each year with its Club Lloyds Current Account. You can choose either an annual Gourmet Society membership, six Vue cinema tickets a year or an annual print or digital magazine subscription from a choice of 13 titles including ELLE, Esquire and Runner's World. The account also offers tiered interest of up to 4% on balances up to £5,000 when you pay at least two different direct debits from your account. You’ll also get exclusive access and discounts on Lloyds Bank products like credit cards and mortgages, a £100 fee-free overdraft and the chance to earn up to 15% cashback when you shop online via the Lloyds’ Everyday Offers website and use your debit card. However you’ll be charged a £5 monthly fee unless you pay in at least £1,500 each month. Santander offers a combination of cashback and credit interest incentives to attract switchers and keep them. The 123 Current Account offers 1% on balances from £1,000, 2% on balances from £2,000 or 3% on balances from £3,000 all the way up to £20,000 – which is the best rate you can get on this amount of cash right now without locking it away for five years. The account also offers 1% cashback on water, Council Tax and Santander mortgage direct debits, 2% on gas and electricity bills and 3% on mobile phone, home phone, broadband and paid for TV packages. In addition you’ll be able to earn up to 15% cashback when you shop in-store and online at participating retailers through a new scheme called Retailer Offers. The account also comes with a four month fee-free overdraft. To benefit from the perks you’ll need to deposit at least £500 a month, set up two direct debits from the account and pay a monthly account fee of £2. Barclays current account customers can sign up to Blue Rewards. 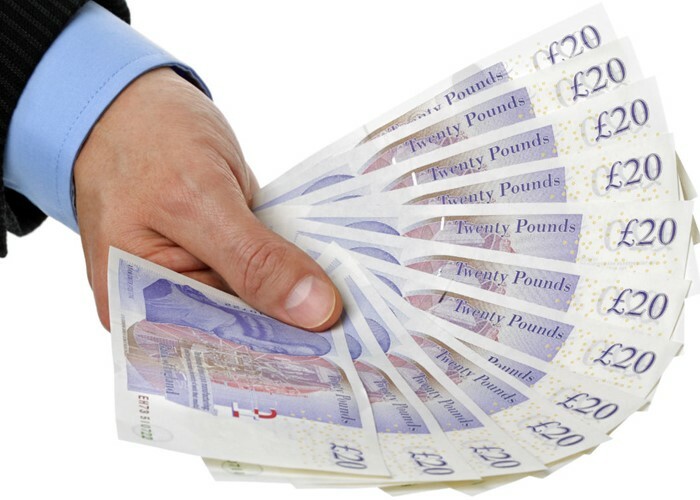 For a £3 monthly fee, it pays fixed cash bonuses of up to £15 a month depending on the products held with Barclays. Barclays current account holders get £7 a month, Barclays residential mortgage customers get £5 a month for the term of their mortgage, while home insurance customers will get £3 a month for as long as they hold the policy with the bank. To qualify you’ll need to deposit £800 a month and have two direct debits set up or sign up to online banking to the Barclays mobile banking app. The Bank of Scotland Classic Account with Vantage pays 3% interest on balances between £3,000 and £5,000. Also when you use your debit card, you could earn up to 15% cashback at the kind of places that you like to shop via the Everyday Offers website. You also have the chance to be paid back for something that you’ve bought on your card up to the value of £500 each month. To earn the interest, you need to pay in a minimum of £1,000 a month and stay in credit. The Royal Bank of Scotland and NatWest offer a pair of lifestyle incentives with their packaged current accounts. The RBS/NatWest Select Silver Account, which costs £10 a month, comes with a tastecard, European travel insurance, preferential rates from their Travel Money service and mobile phone cover for up to two handsets. You’ll also get 25% cashback on tickets for the theatre, dance, opera and concert performances throughout the UK and Ireland too. The RBS/NatWest Select Platinum Account, which costs £16 a month, comes with two National Trust family day passes and tastecard membership as well as a £100 fee-free overdraft, preferential rates from their Travel Money service, worldwide travel insurance, mobile phone insurance for up to two handsets and UK breakdown cover. RBS and NatWest also have a scheme called Cashback Plus, which is available across the banks’ range of current accounts and allows you to earn 1% cashback on your debit card spending.